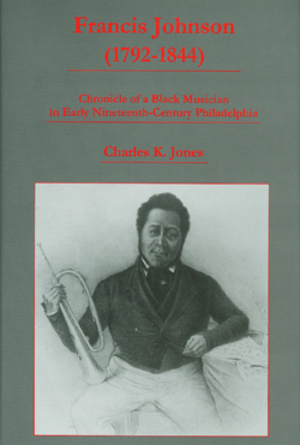 This book examines the rich cultural and social life of post-Revolutionary War Philadelphia, where Francis Johnson (1792- 1844), a free black musician, impressed his own particular genius for innovation, composition, and performance onto the established musical traditions of the day. At a time of relative racial tolerance in Philadelphia, Johnson and his music achieved unsurpassed acclaim. For over twenty-five years, author Charles K. Jones and his colleague Lorenzo K. Greenwich researched the life of Francis Johnson and places where he and his band had traveled and performed. From primary source materials in newspapers, books, private and public documents, and diaries of Johnson's contemporaries, a vivid picture emerges of the musical activities of our fledgling republic. Against the backdrop of the War of 1812, the patriotic fervor engendered by Andrew Jackson's victory at New Orleans, and the later triumphal return of the Marquis de Lafayette to America and Philadelphia, Jones chronicles the rise of America's first volunteer militia units and the purely American cast given by Johnson to the era's increasingly popular military music. Contemporary accounts lead the reader into the world of Philadelphia's social elite and the leisurely summer resorts of Saratoga Springs in upstate New York. At the Springs where ambassadors, politicians, and princes came and went with patrician ease, and political rivalries played out for all to see everyone danced to the music of Francis Johnson for more than twenty seasons. As Jones recounts Johnson's musical journey to England and France, he traces Johnson's search for the ultimate form that would allow wealthy and poor alike access to his concerts. The Parisian "promenade concerts" of Philippe Musard provided the model and gave a name to Johnson's developing vision. He took the model to America and popularized it with his own unique stamp. Jones also visits the darker side of life for free blacks venturing beyond a non-slave state in the early 1800s. He portrays the rise of Jim Crow and specific racial incidents directed at Johnson and his band in Providence, RI, and St. Louis, MO. Jones demonstrates clearly how fortuitous it was that Francis Johnson, as a free black nurtured in the free state of Pennsylvania, was able to work and thrive amidst the rising swirl of pre-Civil War racial tensions in America.